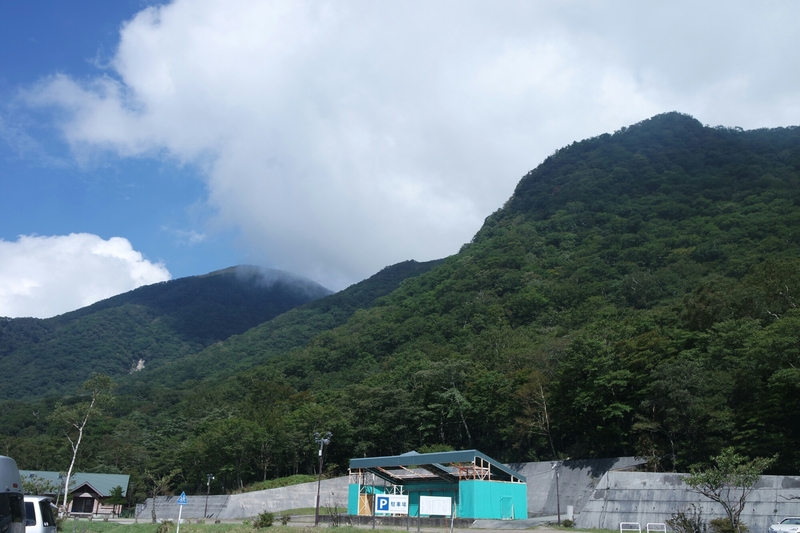 The Akagi Mountain range stands proudly before all of Gunma, a huge landmark that cannot be ignored. 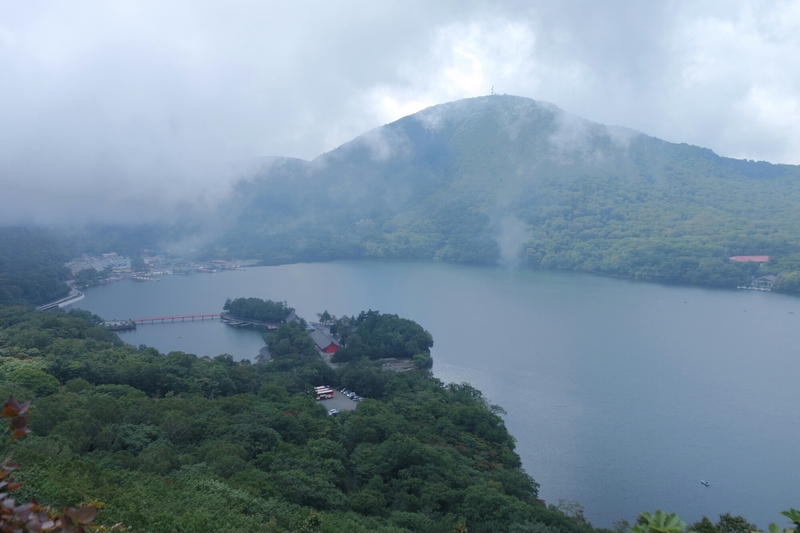 After an hour bus journey we arrived 1342.5m above sea level at Lake Onuma, at the very heart of Akagi. 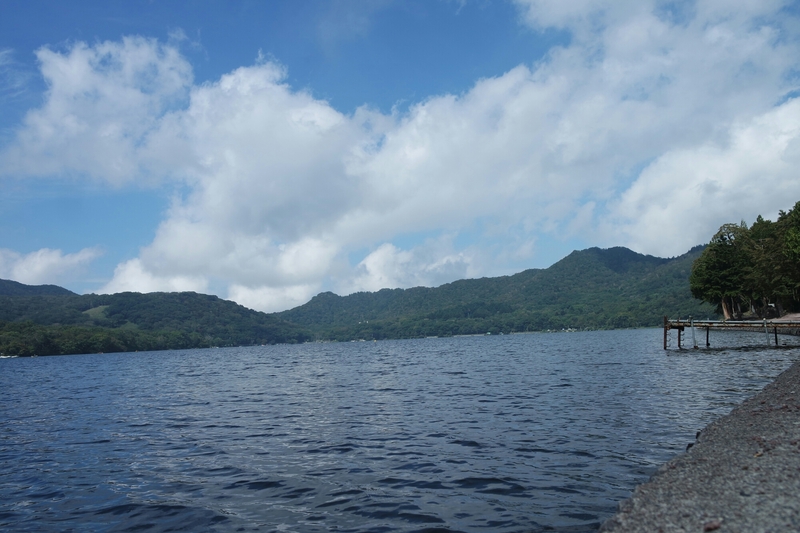 Lake Onuma is perhaps the largest of the lakes hidden close to the summit of this range. The temperature is much cooler at this height and it’s quite a dramatic sight especially when the clouds roll in across its surface. It sports a visitors centre and a handful of shops alongside the Akagi Shrine. It’s not totally desolate up here but then again neither is Mt. Moon, which is always teeming with trainers raring to battle. This part of the range is most reminiscent of Mt. Moon’s appearance in Pokèmon Gold, Silver, Crystal and their remakes. In this rendition a small pond can be found where, on a certain night of the week, Clefairy can be found dancing in the moonlight. I can imagine the lake to be an incredible place to be under a clear night sky, but of course it would be better if there were Clefairy prancing around too. But the main meat of our visit here was to climb to one of the many summits in sight. 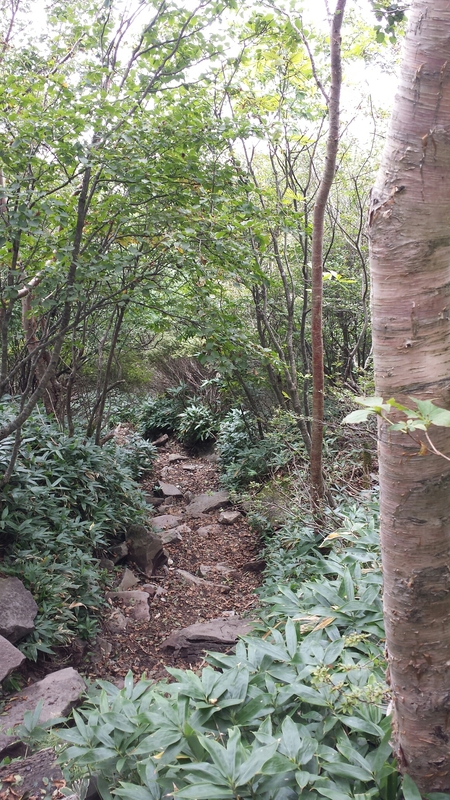 We began an incredibly rocky and reasonably steep trail up to the top of Mt. Kurobi. 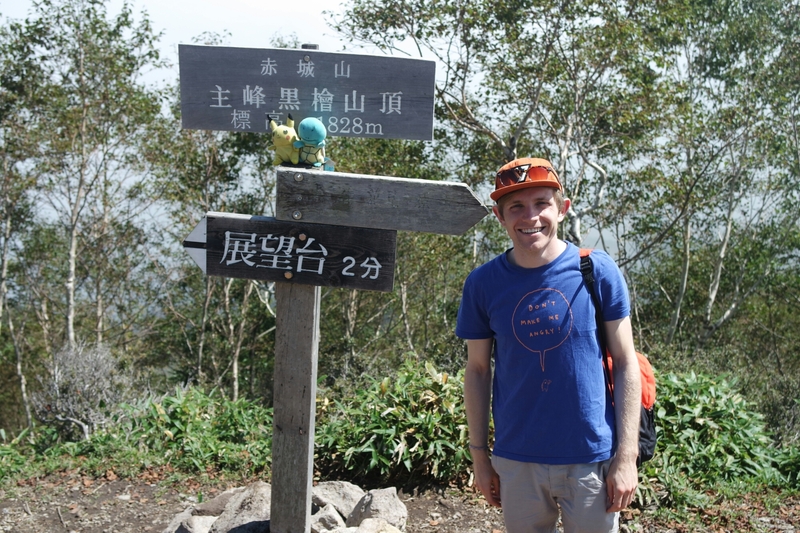 This took us to the summit which stood at 1828m above sea level. Reaching the top was a most satisfying feat but didn’t afford a grand view. The summit is covered in trees and what we could have seen was now shrouded by the clouds. We then proceeded towards the summit of Mt. 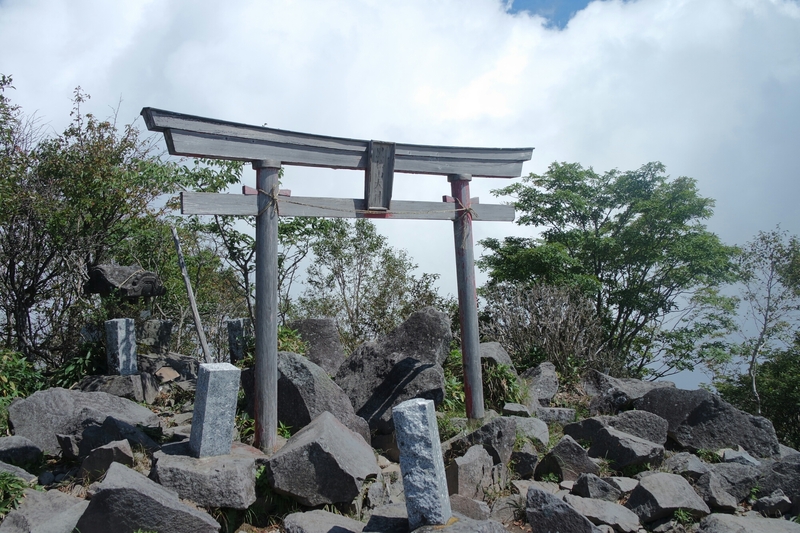 Komagatake (not the Komagatake found in Hakone of course) where the view was far more favourable. 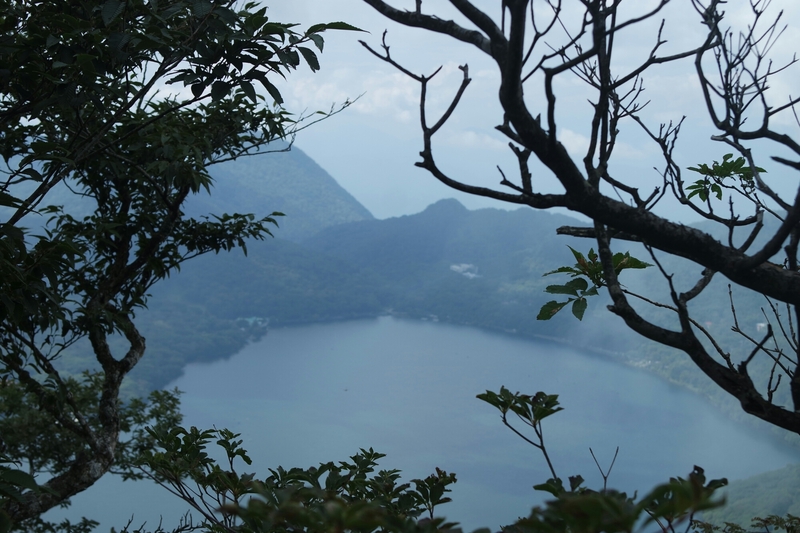 We then followed a somewhat unstable stairway back down the mountain and met the lake once more. 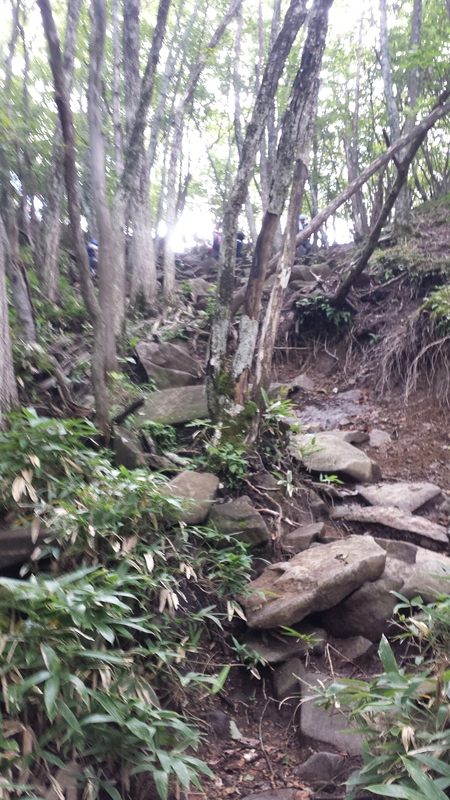 Ultimately the climb was never too difficult and could be accomplished at a nice easy pace. The area is also quite a popular spot meaning you’re never too far from fellow hikers enjoying the mountains. It doesn’t seem too many foreign tourists visit either so it’s best to really know how to get there and back before travel, unless of course you can read Japanese, then it’s a piece of cake. A not too strenuous climb, yet a rewarding feat nonetheless; seems a fitting match for Mt. Moon, the first cave in the Pokèmon series. It’s a very fascinating place, although it’s not really much of a cave in the slightest, like it appears in the original games. 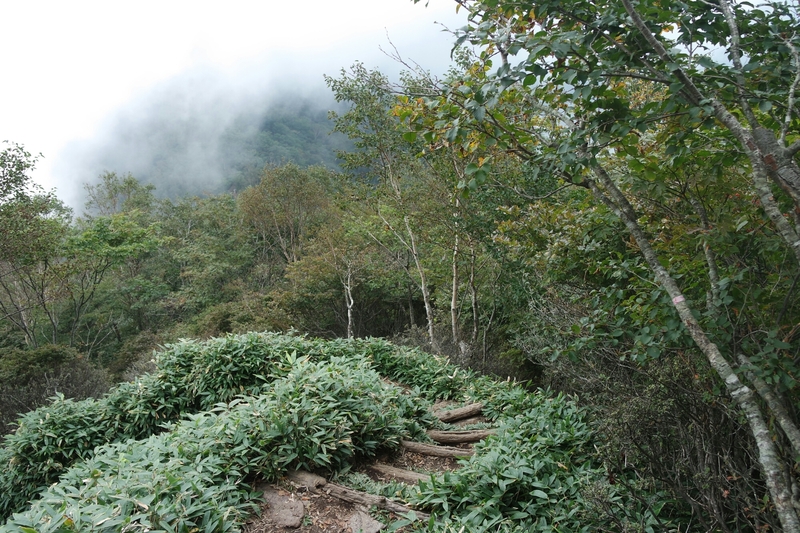 Still with many a trail to discover Akagi-Yama has definitely been a highlight for me on this trip. But at the end of the day, the pictures should speak for themselves. PS. Incidentally the road one must take to get to Akagi-Yama from Maebashi is Route 4, the very same number Mt. Moon sits on.